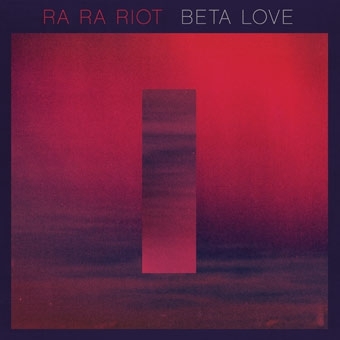 Ra Ra Riot's third album Beta Love is set for release January 22. The album marks the band's first outing as a four piece with members Wes Miles on vocals, Milo Bonacci on guitar, Mathieu Santos on bass and Rebecca Zeller on violin forming the core of the group. The recording process found band members exploring and re-defining their roles within the new makeup of the group. Beta Love's songs are informed by the works of cyperpunk novelist William Gibson and futurist Ray Kurzweil's musings on the technological singularity and transhumanism. Inspired by their lean new lineup, Ra Ra Riot built upon demos created mostly by Miles and producer Dennis Herring (Modest Mouse, Elvis Costello, Wavves) at Sweet Tea Studios in Oxford, MS. For the first time in their history, Ra Ra Riot recorded in a warmer climate and found themselves stimulated by the balmy Southern air and the physical setting of Oxford. Joined by session drummer Josh Freese (Devo, Nine Inch Nails, Weezer), the band enjoyed exploring its potential, experimenting with new influences and exciting sounds. Mathieu said of the sessions that "Recording the record was a lot of fun for us, because we were in a completely different environment, trying a completely new approach. We'd been used to arriving at a session with every song totally arranged and figured out, but in Oxford, a lot of the creative decision-making happened in the studio, on the fly. We wanted to be outside of our collective comfort zone for this record. We wanted to be open to new things happening. There was a lot of building up and tearing down, a lot of problem solving, a lot of trial and error, and that was really exciting for us. "Formed in the basements and attics surrounding Syracuse University in 2006, Ra Ra Riot released their debut The Rhumb Line on Barsuk in 2008. NPR Music said their 2010 release The Orchard's "10 songs positively burst with sophistication, precision and polish." 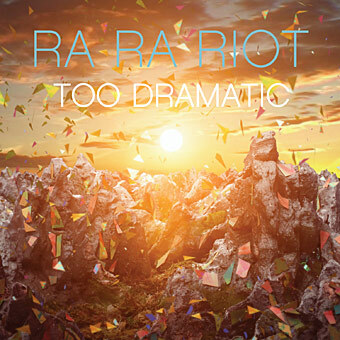 "Too Dramatic" single will be available via Arts & Crafts in Canada on March 8th. The single will include "Megafauna", a previously unreleased song from The Orchard sessions, an alternate version of The Orchard favorite "Keep It Quiet" by one of the band's many alter-egos, GOP, and a remix by The Morning Benders. 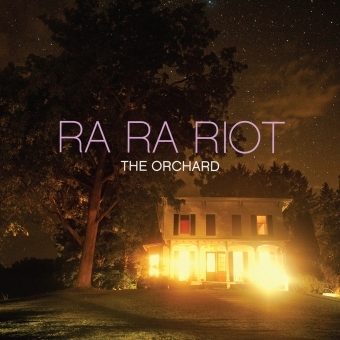 Syracuse, NY quintet Ra Ra Riot will release their sophomore full-length on August 24, 2010. Produced by the band with Andrew Maury and mixed by Chris Walla of Death Cab For Cutie and Rostam Batmanglij of Vampire Weekend, The Orchard is 10 bittersweet, endearing and ultimately stunning offerings. The Orchard follows the band's debut full-length, The Rhumb Line, which was released nearly two years to the day and hailed by such publications as Rolling Stone, Entertainment Weekly and Exclaim! which called it, "worthy of a living room dance party". With glowing praise and relentless touring, the album went on to sell over 60,000 copies in the U.S.
Ra Ra Riot had planned for a longer break after Beta Love. However, after a few months, they couldn't help themselves from working on new music. "The inspiration came very quickly," Miles says, explaining that he decided to fly out to Los Angeles to work with previous producer Dennis Herring (Modest Mouse,Elvis Costello) in order to start fleshing out ideas. Shortly afterward, the group went on a writing trip to Milwaukee, then found themselves crafting Need Your Light with a host of previous collaborators, including Ryan Hadlock in Seattle (who produced 2008's The Rhumb Line) and Andrew Maury in Brooklyn (a longtime friend, collaborator and live sound engineer who also co-produced 2010's The Orchard). "Between 2005-2009, Wes and I wrote an album together in snatched moments in our lives... That record (the Discovery LP) seemed to benefit from us having the freedom to pick it up and put it down. In January of this year, Wes came to stay with me, and we set out to write songs again. We didn't know where it would take us. 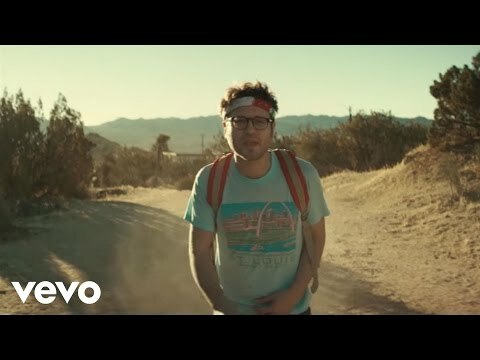 There was something I'd heard in Wes' singing in the earliest days of seeing Ra Ra Riot live that I felt had never quite been captured on record. 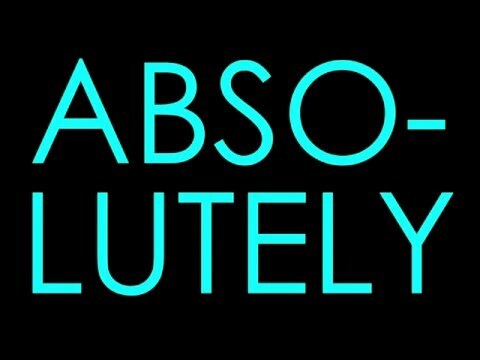 There was our shared love of U2's Achtung Baby, something that having listened to the music we've recorded in our lives thus far you might not know about. And also this obsession with writing songs that tell stories. So we spent five days writing just two songs - 'Water' and 'I Need Your Light'- and I think we found that same freedom in making these songs that we had found years ago making the Discoveryrecord, not knowing where it would take us." 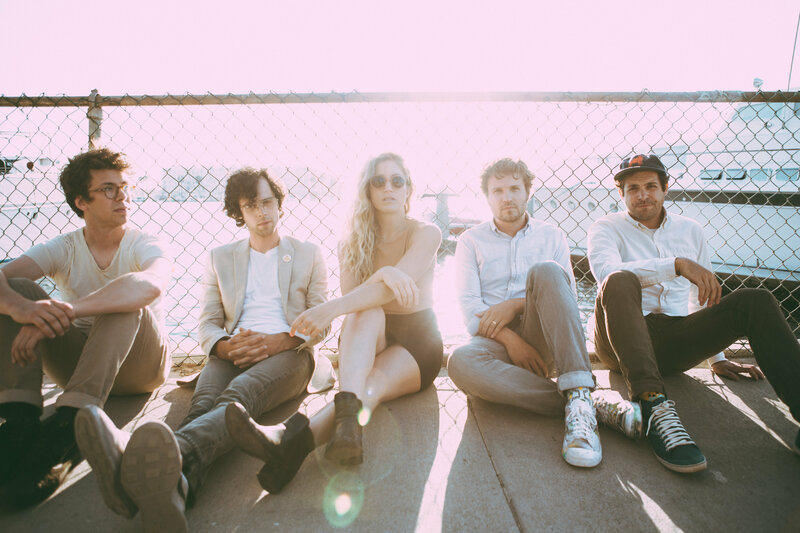 Ra Ra Riot's desire to get back in touch with its roots was also encouraged by the decision to do a short tour of warehouses and basements late last year before reentering the studio to remind them of why they began Ra Ra Riot in the first place. "Because we started as a house party band, we never wanted to lose sight of having fun and engaging with the audience through visceral live shows," Santos says. 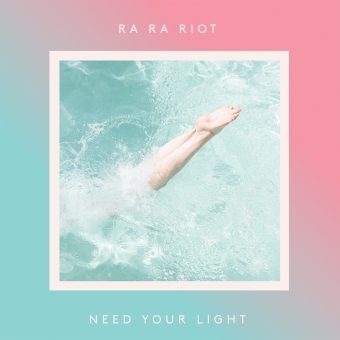 With Need Your Light, Ra Ra Riot are incorporating their past into the future. 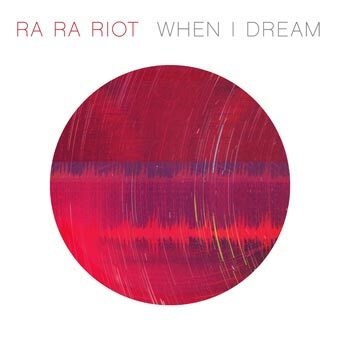 Whether Miles is singing about something fantastic or mundane, there's an enduring energy to the songs on this album which illustrate that in many ways Ra Ra Riot is still only getting started.